Our nursery is open on Sunday Mornings. The nursery is available at other times as scheduled through the coordinator. You are invited to stop by the nursery and speak with our nursery volunteers and Coordinator if you have additional questions. Our small class sizes allow the teachers to interact with the children to help develop their faith. Classes have a minimum of two teachers who plan weekly lessons and activities based upon the appropriate curriculum for the grade level. Sunday Morning classes meet at 10:00am in the lower church. The hallways buzz with the sounds of children as they become involved in making the faith their own. During Mass all children ages 4, 5 and 6 are sent forth to experience the Liturgy of the Word at a level they can understand. The children gather in the center aisle to receive a blessing and dismissal then proceed downstairs, returning during the offertory. Children may attend both R.E. classes and Children’s Church weekly as sessions teach different material. These special classes are offered for students who will be receiving First Holy Eucharist and First Reconciliation. Students will meet several times in addition to regular class time to prepare for these very special milestones in their lives. Parents will also attend classes. For more information contact the R.E. Director. 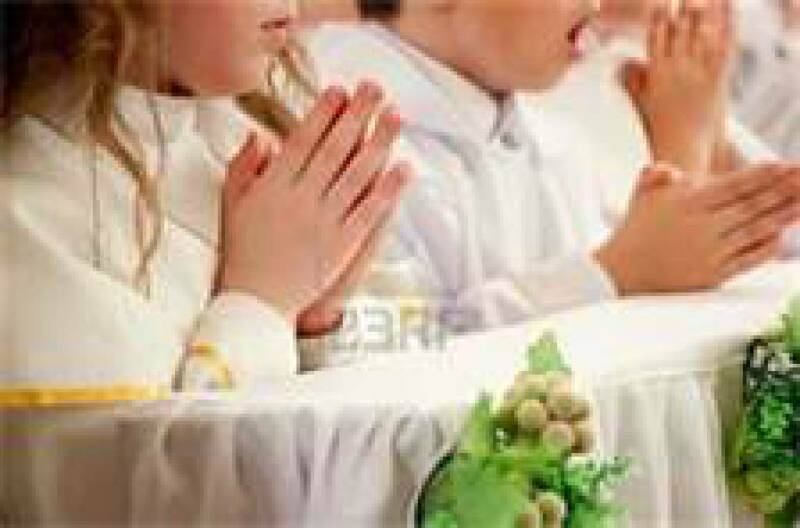 RCIC is the Rite of Christian Initiation for Children and classes are scheduled as needed to prepare students who might have missed age/grade appropriate sacraments.